Greetings from the North! Thank you so much Doc for this beautiful recording. It was a magical evening and i will forever be grateful to the kind soul who provided this exquisite recording of Roger at his finest form. This is a great show, thanks Doc. Haven’t always been a fan of Roger Waters’ solo shows, but this is “different gravy”, as we say over here ! Minded to see him at Hyde Park, but would definitely go if this was the playlist, incredible mostly chronological tour de force. A donation to follow, far too long a time since the last one given how many times I have enjoyed the peerless Boston Matrix show. Thanks Doc for sharing this recording. It sounds superb! Best regards from the End of the World. Thanks Doc. Great sound quality, and as an added bonus ‘the audience’ isn’t too loud in the mix – your Roger Waters (with Clapton) Pro’s and Cons recording is really great but the ‘wooping and hollering’ during any quiet passage slightly spoils listening for me. Thank you. Great podcast Doc! The sound quality is superb! Great podcast Doc! I’m going to the US+THEM show in Glasgow Scotland next June. Can’t wait to see them after hearing this show. A nice insight. Another coup de grace for Brain Damage! 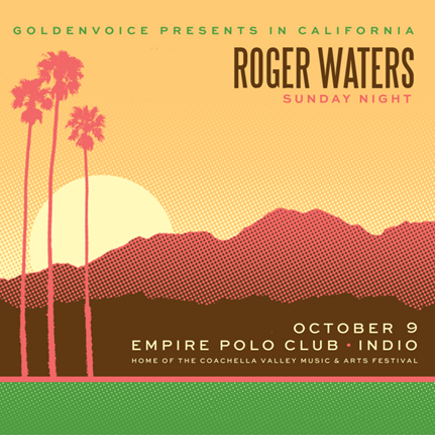 In some ways it’s a shame Roger has replaced his band (OK, not a same about Graham Broad) because it marks this incredible 2016 mini-tour as no longer current and unlikely to see the light of day as an official release. It really was astonishing visually. Thank you, dear Sir. A small part of me hopes that he will pull something like this in Hyde Park next summer so that it will be not just another stop on the tour. I’ll be there too in Hyde Park and look forward to whatever he does because it’s a fun experience (also saw the 2006 tour stop there). But he’s unlikely to pull a Desert Trip or even get to use his smaller indoor screen due to the permanent Great Oak stage used for that concert series. Which for a tour so reliant on the visuals is going to be somewhat of a bummer. yep its hyde park for me too,…..im hoping for this sorta musical line up,…or the sets in mexico, that started the whole thing going,….and why wasn’t c.c.brooks not on the new lp???? My GOD that sounds good! I was at this show and for those who weren’t I can’t over emphasize how fantastic the sound was at this very large venue. All the other acts of the weekend sounded great but Waters pulled out the stops on the depth of the surround sound. An incredible weekend I got to share with my nineteen year old son who loves this classic rock stuff as much as I did and Water’s presentation was definitely the coup de gras. This really took me back there.Thanks Doc. Thankyou ever so much Doc. Woo hoo, I can’t wait to,listen to this, especially the song “fearless”. This is going to be great and I will be blasting this in the car tomorrow. Thankyou ever so much again. A small donation coming soon, my brother.